Here you will find the traditional rites and prayers of Holy Mother Church, as well as many other pious devotions, practised by Traditional Roman Catholics. 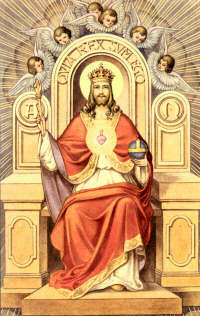 This site is dedicated to our Lord Jesus Christ, and laid at the feet of our Lady. May the Lord bless this site and all who visit! 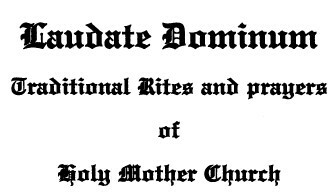 For those of you who partake in the traditional Sacraments and Sacramentals, you will find a goldmine of rites from the Rituale Romanum, and many pious prayers and devotions from other Roman Catholic sources. If you are looking for a ritual book for a traditional Catholic Priest, download the Collectio Rituum Romanum or a complete Latin/English Sunday Missal from the downloads page. "The Catholic Church is living to-day precisely because she has ever refused to part with her doctrines, which are the doctrines of Christ. The heresies of the centuries parted with doctrines of Christian faith, in deference to human opinions, and they died in turn through the ages. Protestantism is dying visibly to-day. Any attempt to adjust Christianity to men's fallible speculations is suicidal. The Catholic Church adjusts men's ideas to Christian doctrine, and she stands, and will stand. Catholic doctrines are offensive to modern thought only because modern thought has ceased to be Christian, and the Catholic Church refuses to cease to be Christian. If men insist upon walking along the wrong track, the only way the Catholic Church could keep in their company would be to take the wrong track with them. But she prefers the right track. If modern thought does not harmonise with the Catholic Church, so much the worse for modern thought. However, modern thought....is chiefly the result of not thinking. Its authors are only too prone to ignore the evidence and take that to be true which they would like to be true." Please Sign my Guest book before you leave. THE APP WITH THE NAME "LAUDATE" IS IN NO WAY CONNECTED WITH OR ENDORSED BY LAUDATE DOMINUM.NET. UNAUTHORISED USE OF FILES FROM THIS SITE. It has come to the stage where I have had enough of people loading files from my downloads page to their own server and offering them for download from their own sites. It seems that breaking the Seventh Commandment and committing a MORTAL SIN means nothing to these people who call themselves "Christians". In future, I will name and shame persons using files from laudatedominum.net on their site without permission. The message to these so called "Christians is simple, if you want these types of files on your site go through the trouble and time of typing out your own! Perhaps you are either too lazy, stupid or arrogant to do this. I will now also report these people to their webhosts under the Digital Milennium Copyright Act [DMCA] and have the copyrighted file(s) removed. If the offender is stupid enough to continue to post files which are copyright of another's site, the webhost will generally cancel the offenders account and close down their website. There is a legal name for people who take things without consent! Read the conditions of use for the files on the downloads page. 03-15-17--Holy Week Missal The Complete Text of the Masses and Ceremonies of the 1956 Holy Week Liturgy from Palm Sunday to the Easter Vigil Service; on the downloads page under Missals. 16-08-16. Added the beta trial version of the Laudate Dominum Traditional Roman Catholic app. 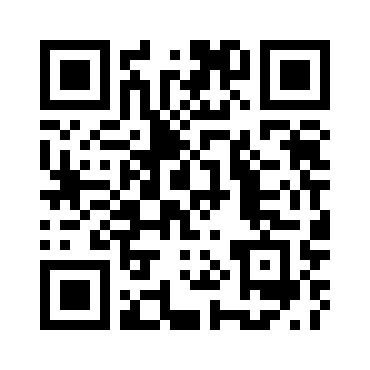 just scan the QR barcode below. If you find this site useful please consider making a small donation to offset running costs. Outside the One, Holy, Catholic, and Apostolic Church there is NO SALVATION! Renounce Satan, renounce the uncatholic heresies of Vatican Council II. May God bless you! Publication of any material from this site without explicit permission is strictly prohibited. References to Laudate Dominum from external sites do not indicate permission, approval, or even knowledge of such external sites. This site operates independently of any diocese, religious society, or other web site. Any opinions given are strictly those of the Webmaster. Copyright © 2005—2017. All Rights Reserved.